Hi there everyone! 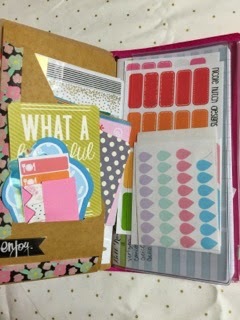 I am so excited to share with you my new planner system! I have abandoned all other planners because I was just feeling very overwhelmed. 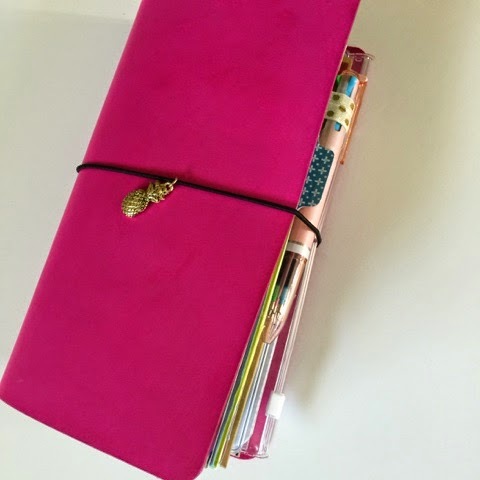 I stopped using all of my planners because it just simply wasn't working for me. I fell out of love with them all and couldn't find myself being productive in using them. I needed a new system, a simple one. So I dumped everything and just started with a blank slate. I found a Piccadilly journal at the thrift store and started using it as a brain dump/bullet journal. I loved it so much! I quickly went to youtube and found so much information about bullet journaling. My favorite videos were from ErinJoy, FlorenceAntonette & TheResetGirl I loved the way they planned in their midori! 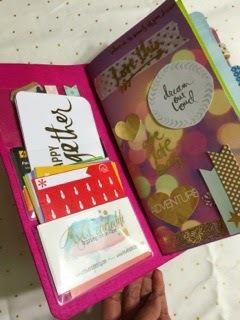 I also wanted to start scrapbooking our memories and travels so I created an insert for just that as well. And of course I needed my lists of wants and dreams! 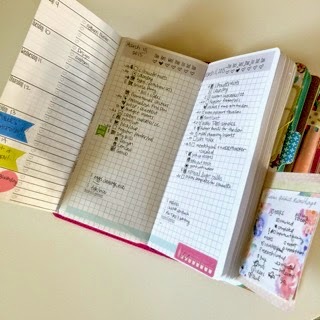 So with bullet journaling, or my take on it, is that everything I have on my mind I quickly write it down as a task into that day on that page. 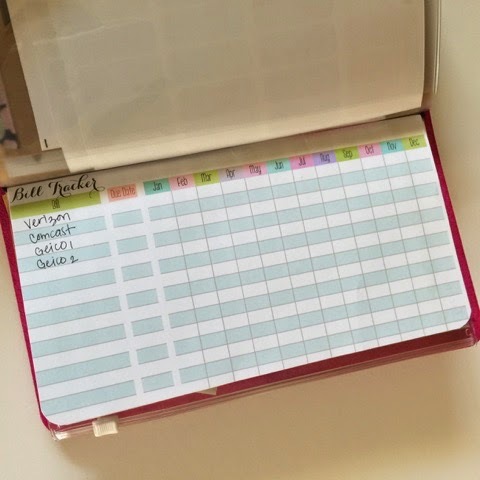 Then with the bullet journal key, I can simply organize it in a way that makes sense to me. I love that with this system you are accountable for everything you do. If it's not done, you have to transfer it to another day, and make sure you migrate it. Every day I go through my list and make sure that everything was either completed or migrated (written elsewhere). 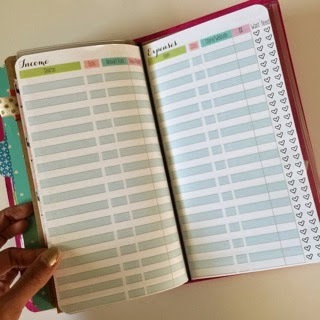 I have been using the Piccadilly journal for about 2 weeks now, but I didn't like that it was so plain! I needed to decorate, I needed a dashboard, a place for my stickers, a monthly calendar, and so much more! 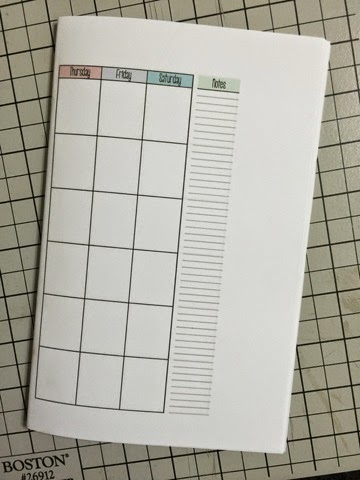 So when my FoxiDori came in I automatically started making printables that included the bullet journal plus more! I am currently planning everyday in this new system and absolutely love it. 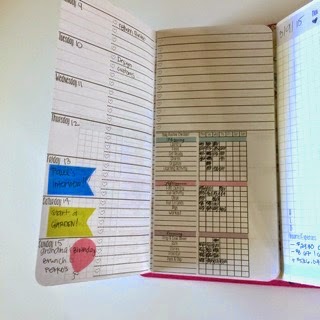 I've always wanted a way to see my week as well as my daily pages all at once. & now I can! So here is a closer look at my system. My Midori is actually a regular extra room sized Foxi Dori from Kelly on Etsy. 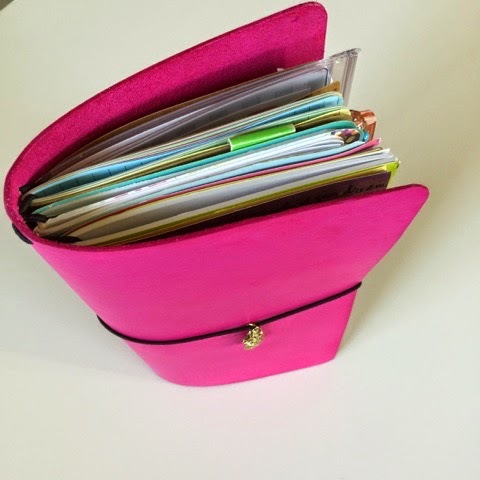 A Midori Kraft Folder & Clear Pouch stuffed with stickers and more! Here is my main planning section! 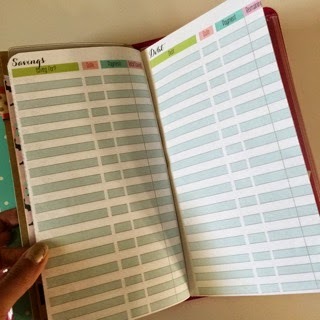 It has the Bullet Journal Daily Pages in the center, Week on One Page with Daily Routines on the front cover as a fold over & a Project Life card folded in half for my bullet journaling key. I tried the horizontal month on the back cover for a little but I like having my monthly pages vertical and in its own notebook instead. 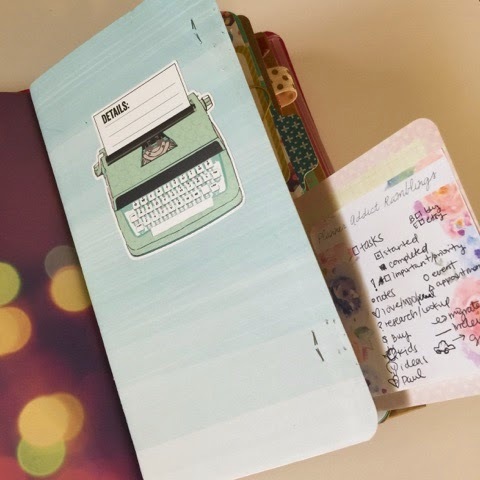 Bullet Journaling is like a Brain Dump To Do List with keys/signifiers for categorizing and organizing all your thoughts! I absolutely love it! I am still working on my own personal key as you know I like to sub-categorize everything! 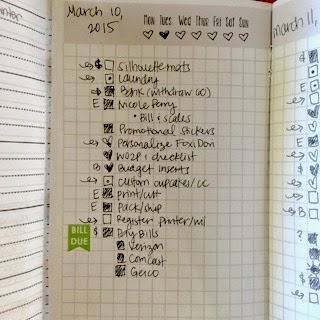 In the back of my Midori, I have some financial trackers. They aren't in any notebook just by themselves. I use different pages for expenses that's why Ihave a lot of them. I use one page for PayPal Expenses, one for food/eating out, & one for my shop/blog. I like seeing how much I spend in a month on each of those categories, and that's all I really need to keep track of. I should also have a page for how much I spend on fun planning supplies, home, and car as well! 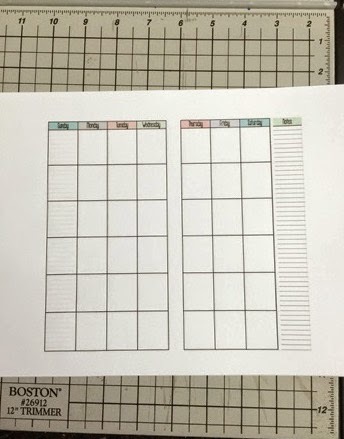 These printables will fit the regular size Mindori. 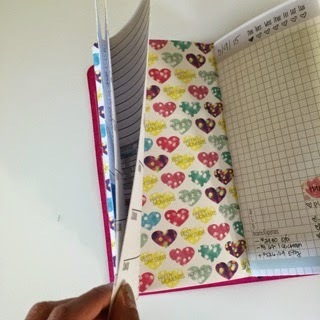 then corner the edges of your inserts with a corner rounded! 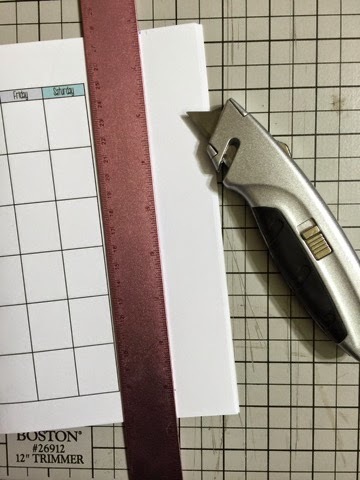 Here is a great video by Robyn Lott showing you how to make Midori Inserts as well! 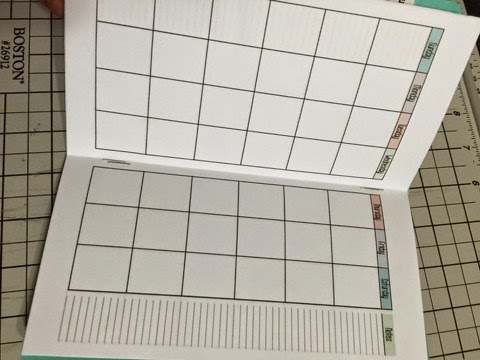 & To create the weekly/daily pages I just simply created a regular notebook with the bullet journal inserts, then printed and folded the weekly pages and attached 1 month's worth of pages and stapled it to front cover of the bullet journal notebook! Are the printables in regular size or do the cone in other sizes? What size is your Dori? Thanks for these. I also bullet journal in a dori but I just use a cut down moleskine cahier. These are way cuter so I'll give them a go when I fill my current one.